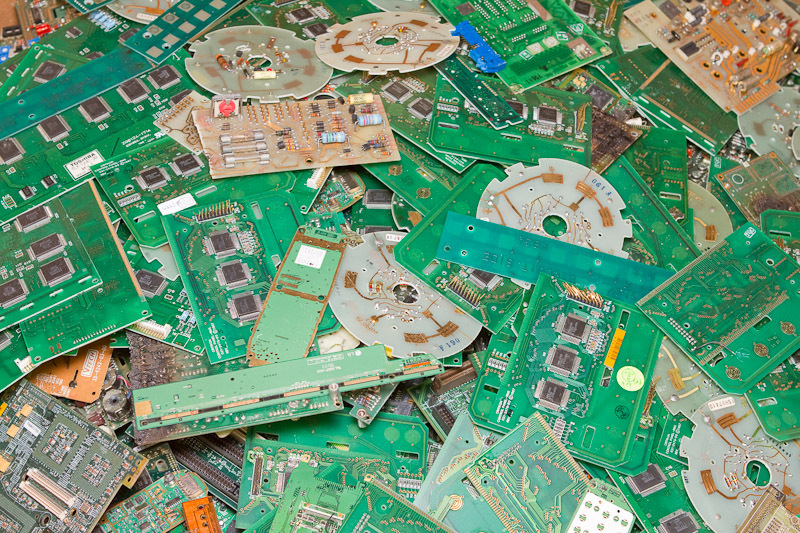 We buy circuit boards from any device and pay you for the precious metals (such as gold, platinum, silver, and palladium) found within them. 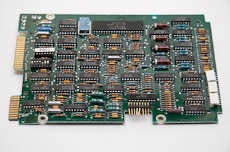 We buy circuit boards from computers, cell phones, telecommunication equiptment, servers, military equiptment, car electronics and many other sources. 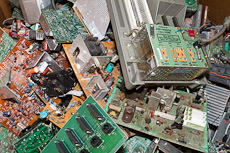 For computer specific scrap, see what components have value and our purchasing policies. 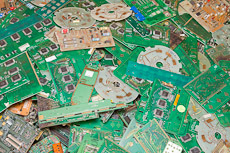 Circuit boards are the backbone of the information age; they are also the key source of value in E-Scrap. Their precious metal content comes from several sources. The connectors where circuitboards connect to other boards are usually gold plated. Gold is ideal for any connection application because it is an excellent conductor, is easily plated and is extremely resistant to tarnish. Fingers are very value dense and therefore very economical to ship. We buy fingers separately as well. 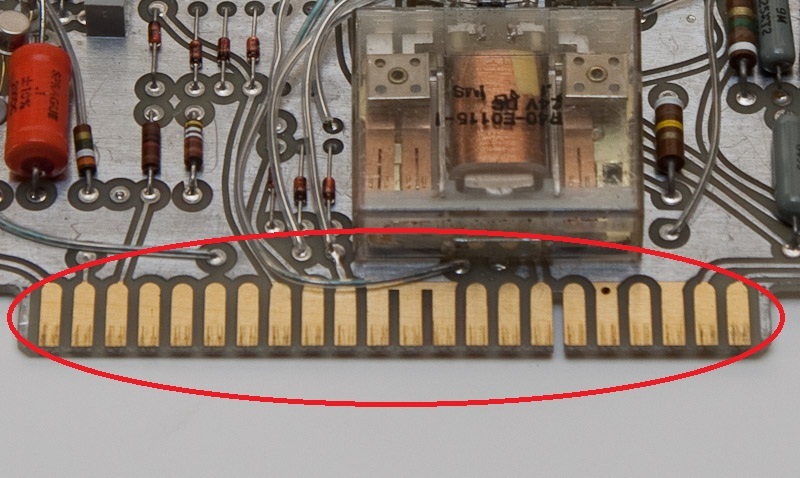 The red circle outlines the gold plated 'finger' of this circuit board. 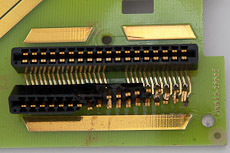 The pins within sockets where other components connect to the board. 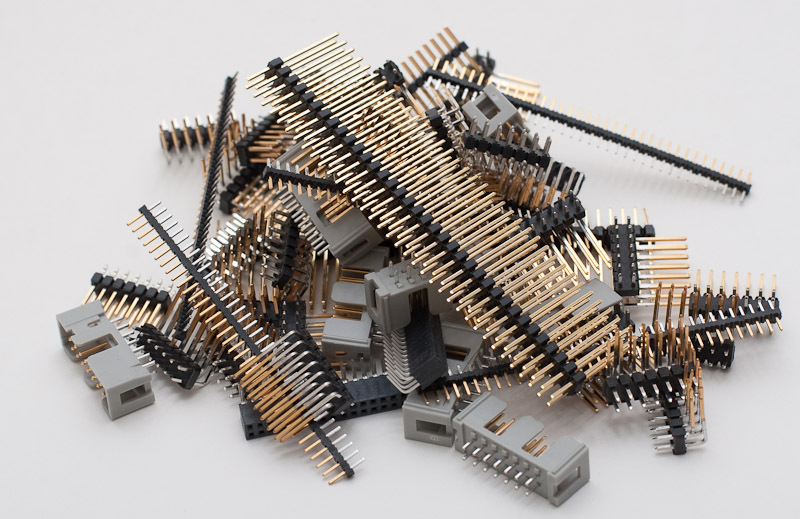 We can buy connector pins individually. These pins where removed from a circuit board. You can see the gold plating. Some of the components (transistors, IC chips) that populate the board may be rich in Silver, Palladium and other precious metals. 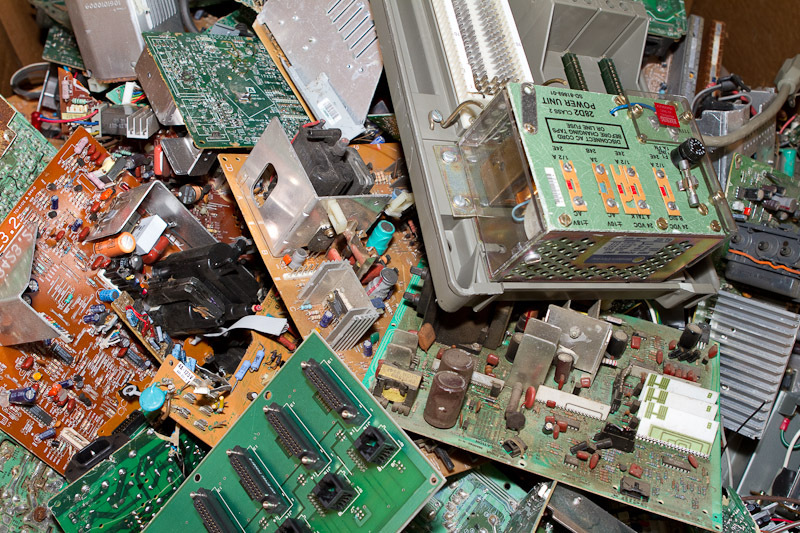 Processors, memory chips and other high performance components often have precious metals inside their casings. The solder may also have silver in it. 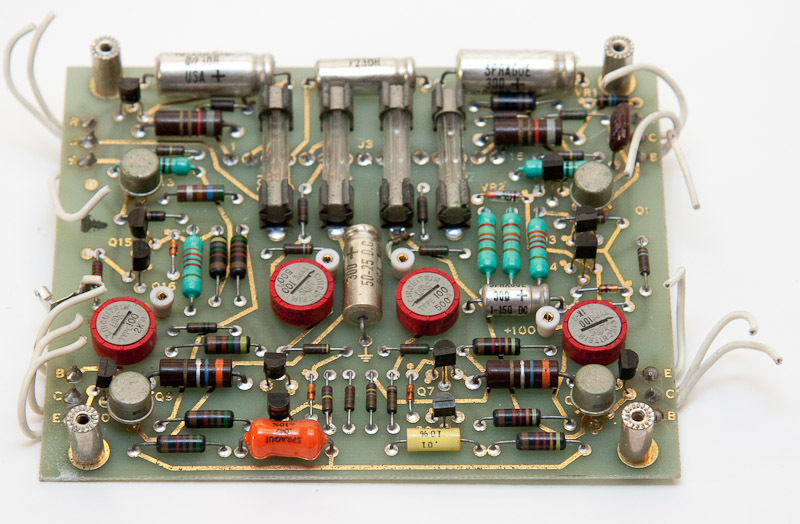 Some components (resistors, capacitors) have little to no value. Removing large capacitors (which can be heavy) is on way to improve the boards quality. 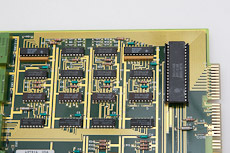 Zoomed-in view of a circuit board. 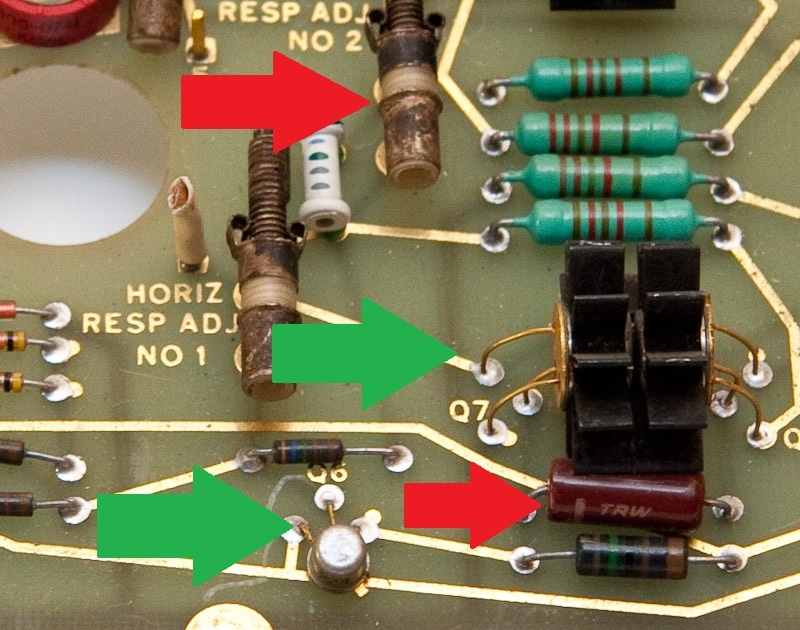 The green arrows point to components with gold plated pins which are valuable (transistors). 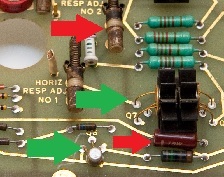 The red arrows denote bulky, low value components (resistors, coils, capacitors). 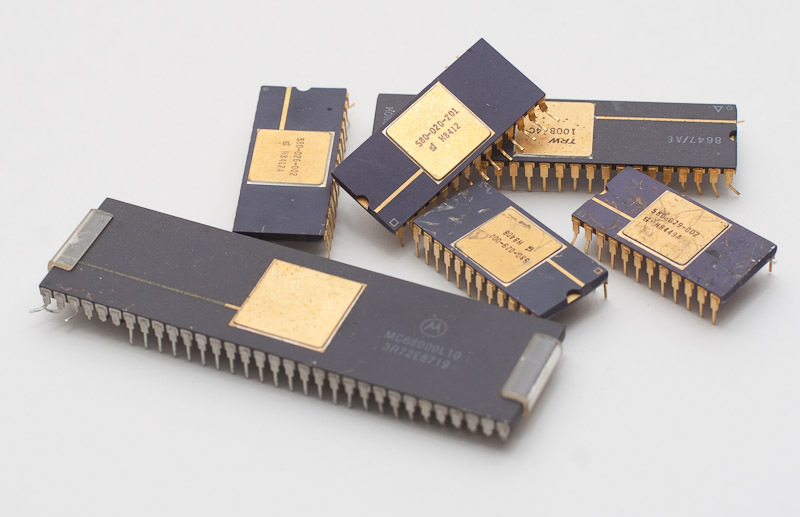 High quality IC chips found on a Motorola board. Notice the gold plating. 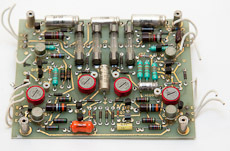 Traces are the printed 'wires' on the board that connect the components to each other. These are usually copper (which has a small amount of value), but on older or high performance boards, they can ofen be gold. 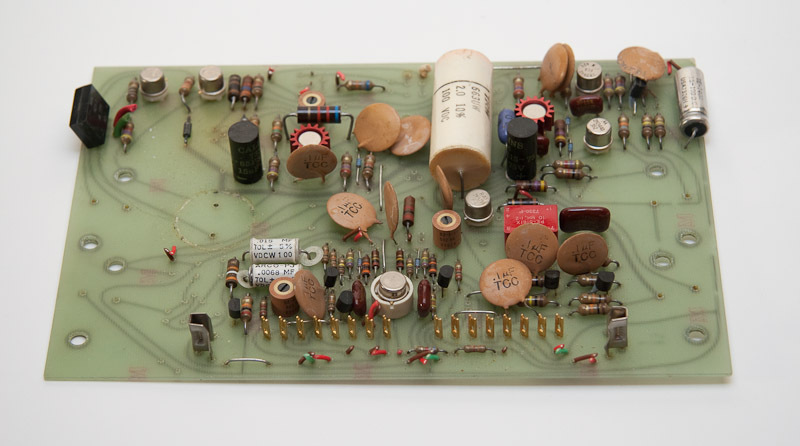 This circuit board has many low value, bulky components, but the traces are gold. 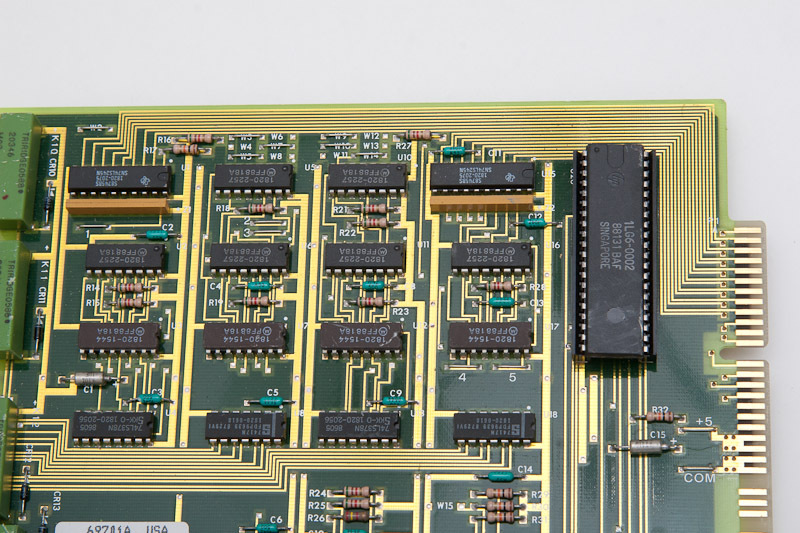 This is a beautiful board with gold traces, fingers and valuable IC chips. It is from a telecom board. To get started, please contact us, or send us details about your circuit boards for a price estimate and shipping arrangments. There are minimum quantities for shipping circuit boards to ensure your profitability (generally 50-100lbs), but we can evaluate your boards to find the right shipping strategy. 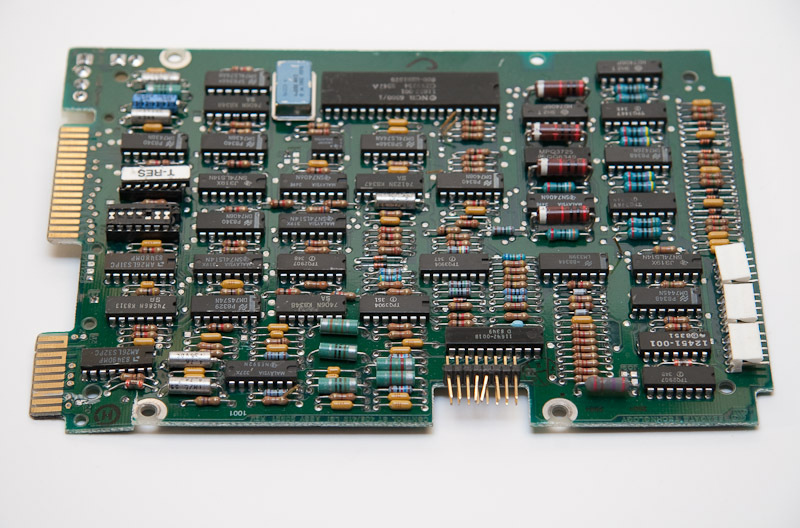 Circuit boards with bulky components in a Gaylord box.